The globally renowned IELTS or International English Language Testing System is a test conducted to assess proficiency in English Language. If you desire to have admission amongst the top-class universities or find jobs in countries where English is the primary first language, getting decent score in IELTS test is important. 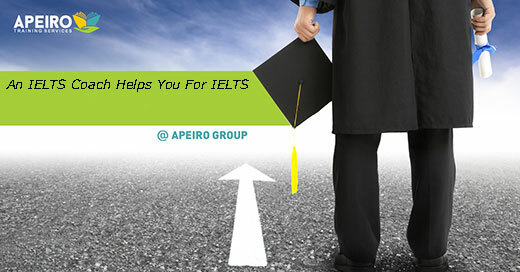 We, at Apeiro Training Services help you in scoring good marks for IELTS exam. Our IELTS classes in Perth can be your gateway to success. Our IELTS training Perth gives you sufficient exposure to the IELTS exam module. We offer practise tests on the lines of IELTS exam format. Visit at http://apeiro.com.au/ielts-coaching-perth.html OR To know more on IELTS in Perth, call us at 61 8 6558 0340!